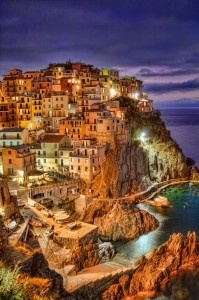 The Cinque Terre is a rugged portion of coast on the Italian Riviera. It is in the Liguria region of Italy, to the west of the city of La Spezia. "The Five Lands"